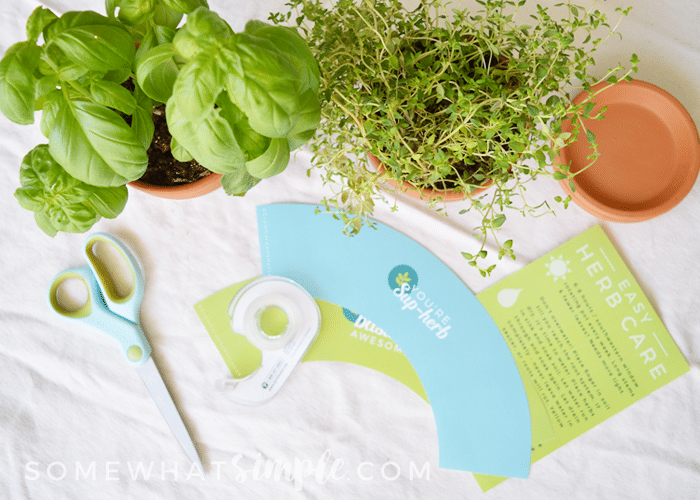 They’re like cupcake wrappers, but for plants! 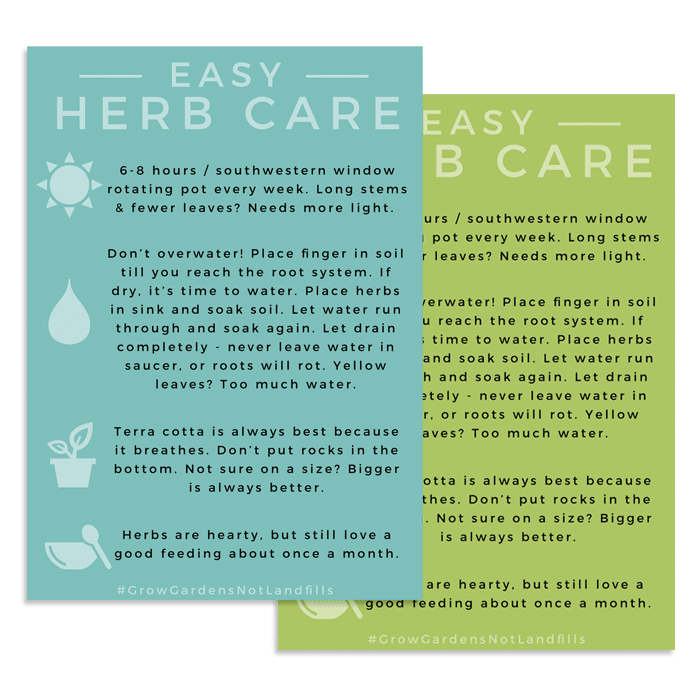 These Free Printable Terra Cotta Plant Wrappers would make the perfect gift for teachers, and are so simple to create! It’s that time of year again – school is almost over, our children’s teachers are still alive, and we need to show them how much we appreciate them! 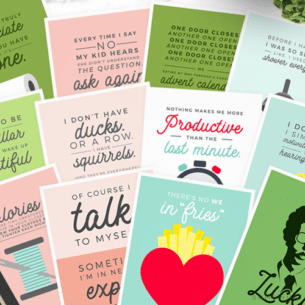 😉 So we’ve created a darling free printable to make gift-giving a little easier! You can also make some for yourself, to sit all pretty in your windowsill to remind you of how great you are. We won’t judge. 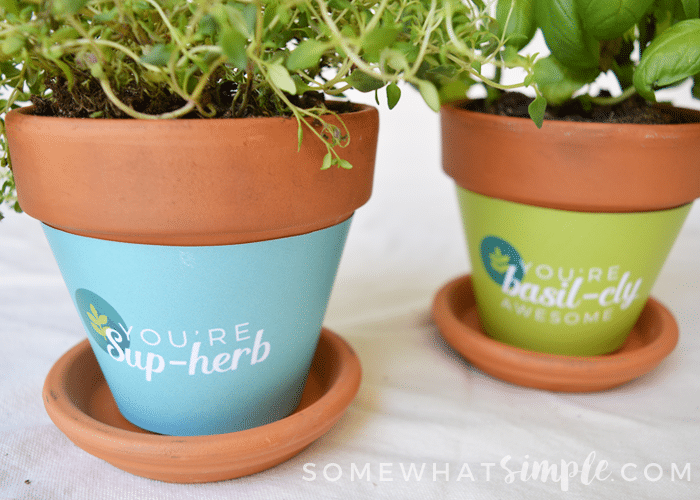 To create these darling little pots of cuteness, all you’re going to need is a quick trip to Lowe’s and a printer! HERBS – Tip: if you have a tendency to send your plants to Heaven before their time, don’t try growing your herbs from seeds. Practice with already established plants. 4″ TERRA COTTA POTS + SAUCERS – These plant wrappers are specifically designed for terra cotta, and may not fit other types. 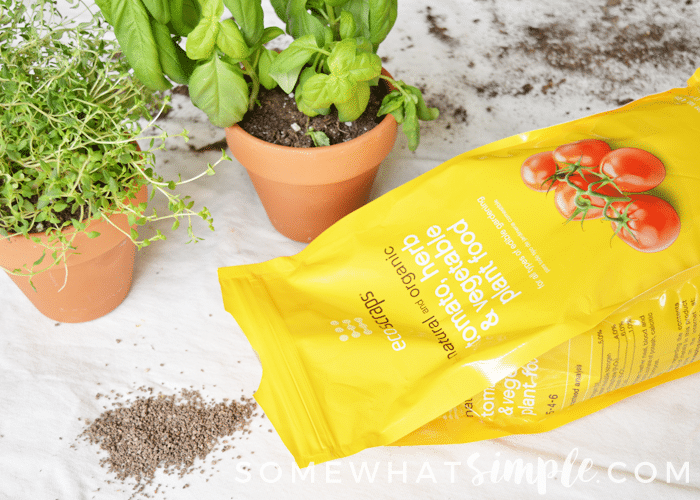 ECOSCRAPS TOMATO, HERB, AND VEGETABLE PLANT FOOD – EcoScraps is a brand that recycles food scraps into organic and sustainable lawn and garden products, and they’ve created the perfect ratio to keep your plants well-balanced. 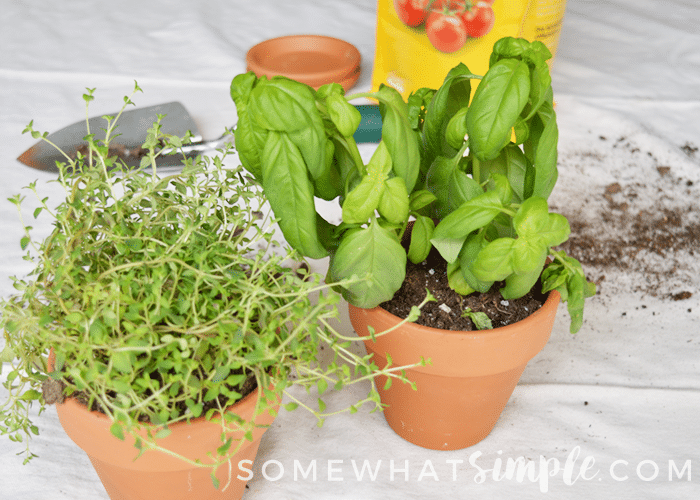 Peel off the wrapper from your plants, and gently place in the pots. Do not add any stones or rocks to the bottom – this can actually create more problems. 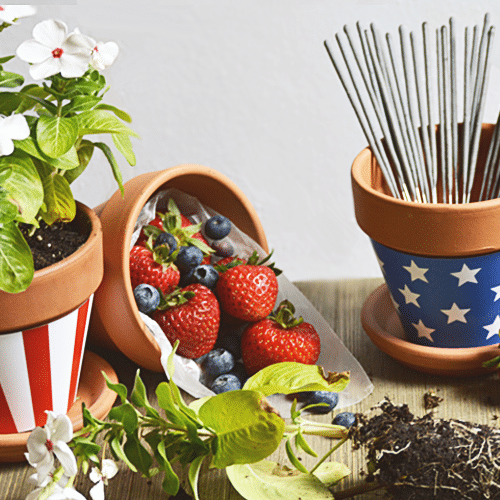 You want your herbs to be able to drain properly, and these terra cotta pots are perfect. 2. Sprinkle a small spoonful of Ecoscraps plant food onto the soil, then water till completely soaked through. And then soak it through again. 3. 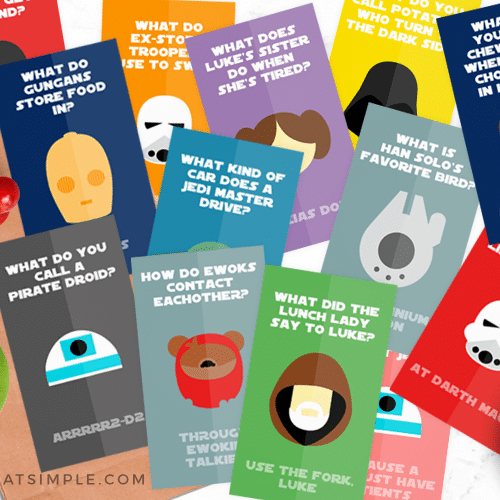 While everything is drying, print off your wrappers, cut them out, and grab some tape. Afraid the receiver of these darling little herbs might grant them an untimely end? 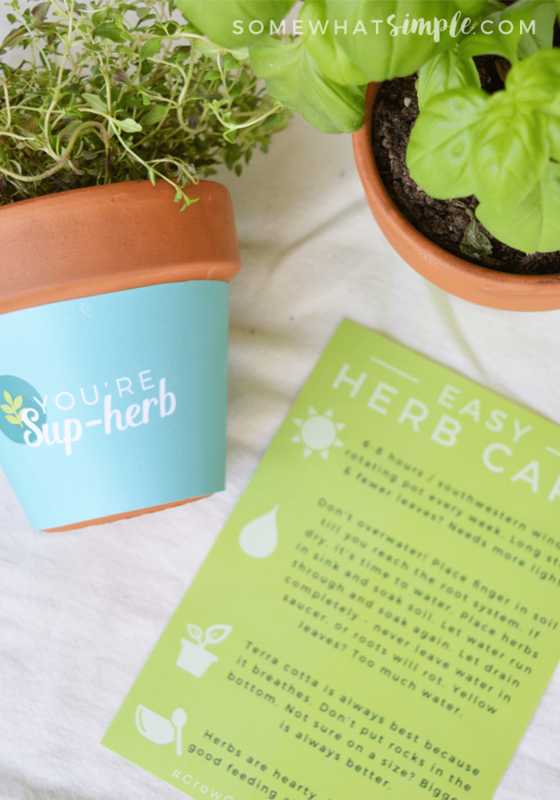 Here’s an Easy Herb Care sheet to print off and include with your gift. Or for you to put on your fridge for a handy reference. I love how these turned out! 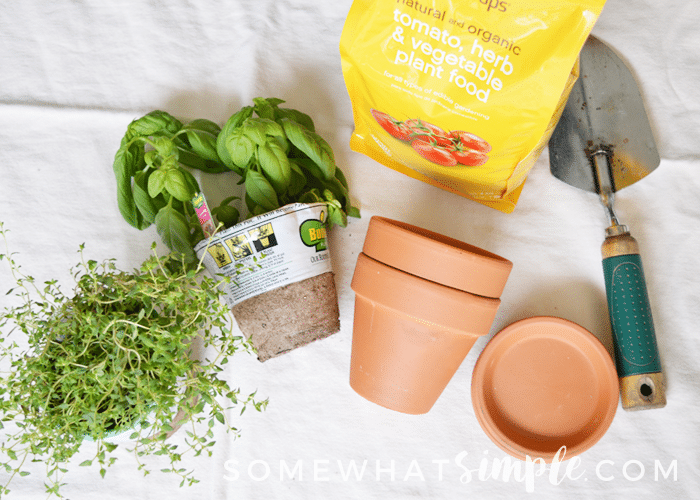 And I can’t believe that plant pot wrappers haven’t existed until now… They’re the perfect way to dress up boring pots without the mess or hassle of pulling out the paints and craft supplies! Now go. 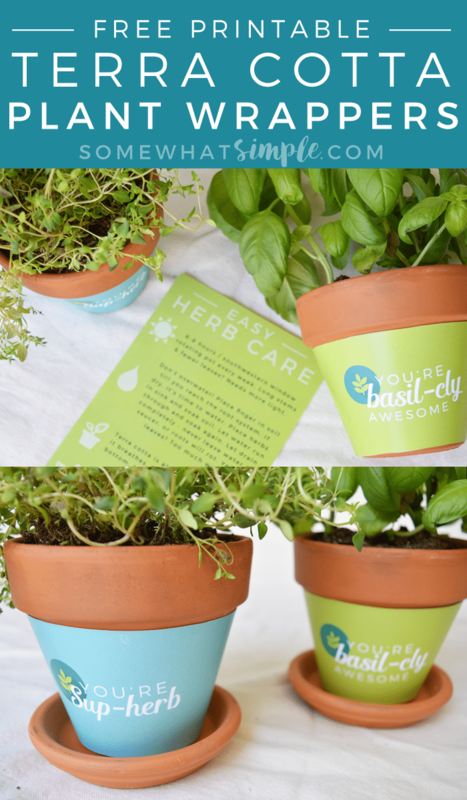 Buy some herbs and pots, download our exclusive printables, and get into the gift-giving spirit! You don’t have to stop at teacher gifts – these would be great all year long for friends or neighbors! This post is sponsored by EcoScraps. All opinions and text are my own.